The flag tells a lot about a nation’s destiny. This also applies to the Norwegian flag that has changed a lot through history. 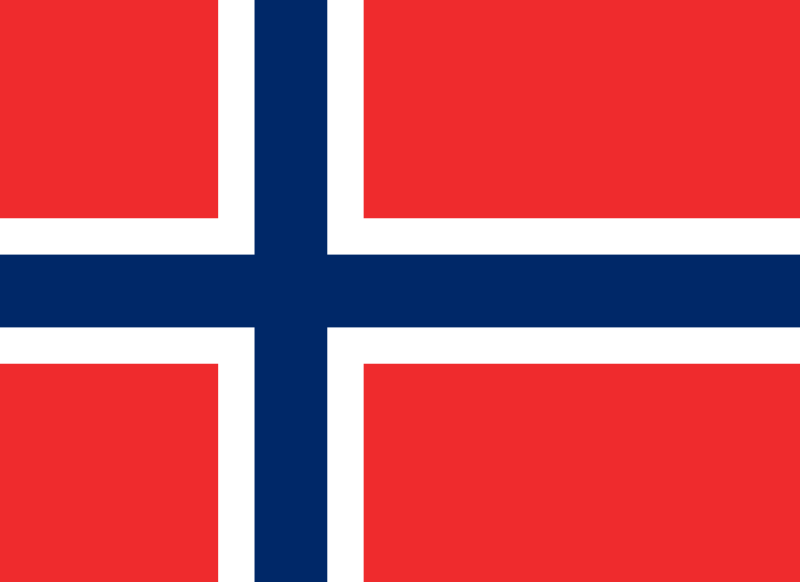 The flag as it appears today, is designed as a typical Nordic Cross flag and is probably created by chance by a child. Norway was an independent nation until 1380 AD when the country entered into a union with Denmark. The union lasted until 1814 – a period that is often referred to as “the 400-year-night” or “the dark centuries” in Norwegian history. Denmark-Norway had been on the losing side in the Napoleonic Wars, and on 14 January 1814 the king was forced to cede Norway to the king of Sweden, in exchange for the Swedish areas in Pomerania. Norway finally got its independence from Sweden on 10 June 1905, after 91 years in union with the neighboring country to the east. The oldest form of a Norwegian flag is a banner as shown on Duchess Ingebjørg’s seal from 1318: A golden lion with silver axe on red background. The lion has probably been used as the Coat of arms of Norway and dates back to King Håkon Håkonsson (1204 – 1263 AD), and probably even further back in time, according to the Icelandic historian and saga-writer Snorri Sturluson. The lion is both in the Bible and the Middle East a symbol of the King. 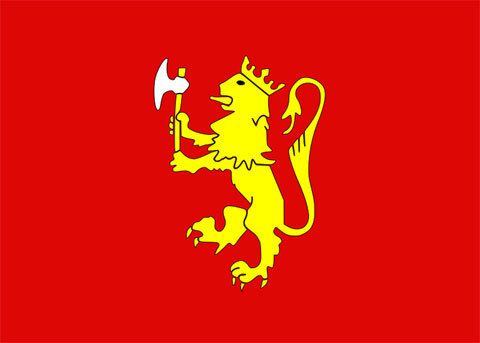 To make the flag more special for Norway, the medieval kings placed a silver axe in the lion’s front paws. It symbolizes the axe that killed St. Olaf in the Battle of Stiklestad and the connection between “Norway’s Eternal King” and the Norwegian government. The flag, which de facto was (and still is) a royal flag, was sometimes used in fortresses and on ships. After 1814, the national sentiment grew stronger: With an own Norwegian constitution the demand for an own flag came. There was appointed an official committee to consider all the submitted proposals, and on 16 May 1821 the National Assembly gave its recommendation. 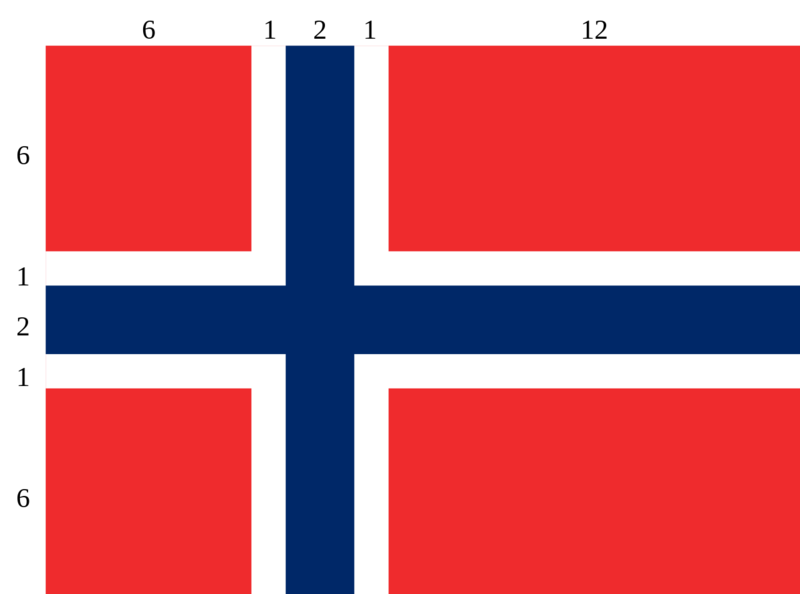 National Flag of Norway with correct proportions. The proposal the National Assembly finally agreed on was a draft from Fredrik Meltzer, a businessman and politician from Bergen. 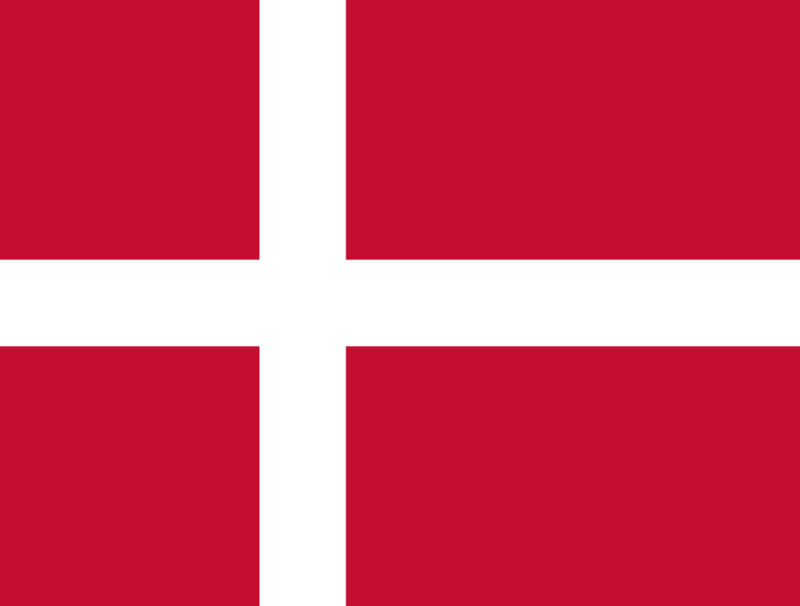 It is said that the flag is the result of a child’s drawing: Meltzer’s son accidentally drew something blue on the white when he drew the Danish flag. But at the same time it was known that the colors red, white and blue represented the “colors of freedom”. Both the United States and France that were known as liberal states and just had got new constitutions had chosen these colors. 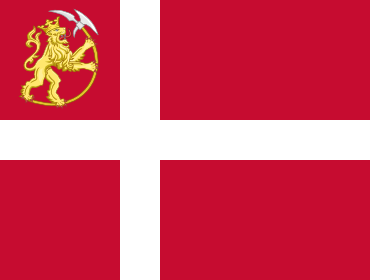 In addition, the colors represented a compromise between the old ties to Denmark and the new to Sweden: The old “Dannebrog” got a “Swedish-blue” element. 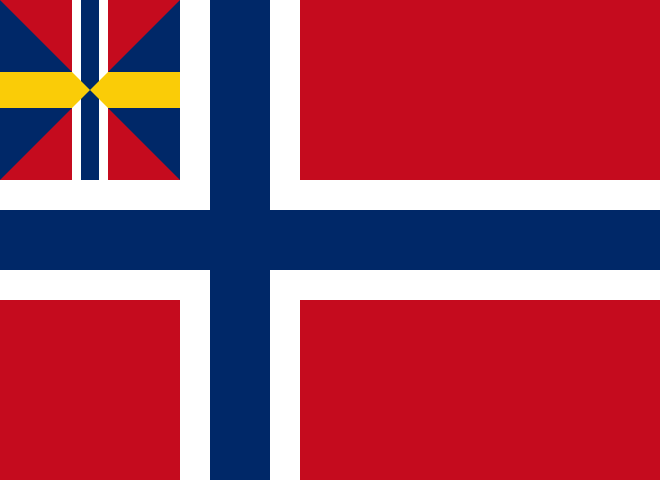 The flag was the Norwegian merchant flag from 13 July 1821 to 20 June 1844 – on ships for use at shorter distances – and after 10 December 1898. The growing sense of independence led to a popular movement for the “pure Norwegian flag.” The fight began in the late 1870s led by author Bjørnstjerne Bjørnson, but the sailors were against it. 10 December 1898, after three attempts, the Flag Act was adopted. 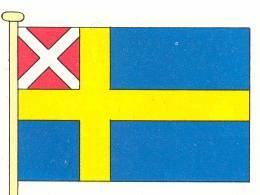 From this date the pure Norwegian flag flew in “the city and the harbor,” but still not on fortifications and naval vessels. Here the pure Norwegian flag was hoisted only after the union came to an end – on 10 June 1905.
there is an interesting version of the “herring salad” flag in Hawaii’s Iolani palace. Took a picture of it, wish I could post here. They date it to 1850s, but are not sure which order it belongs to.